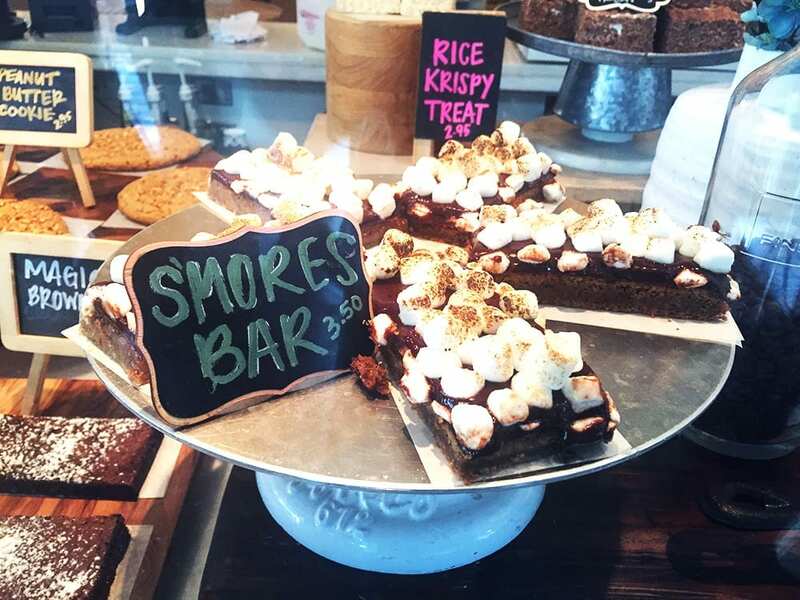 Upgrade your nighttime campfire treat with an S’Mores Bar from Summer House Santa Monica a brand new American restaurant in Rockville’s (North Bethesda) Pike & Rose, DC suburb new town center. It’s fun exploring this new Town Center and all the unique restaurants it has to offer. We felt like kids again with wide eyes at the candy store when we saw their dessert bar with so many different sweets to pick from. As soon as you bite into this glories creation you realize how rich and thick it is. 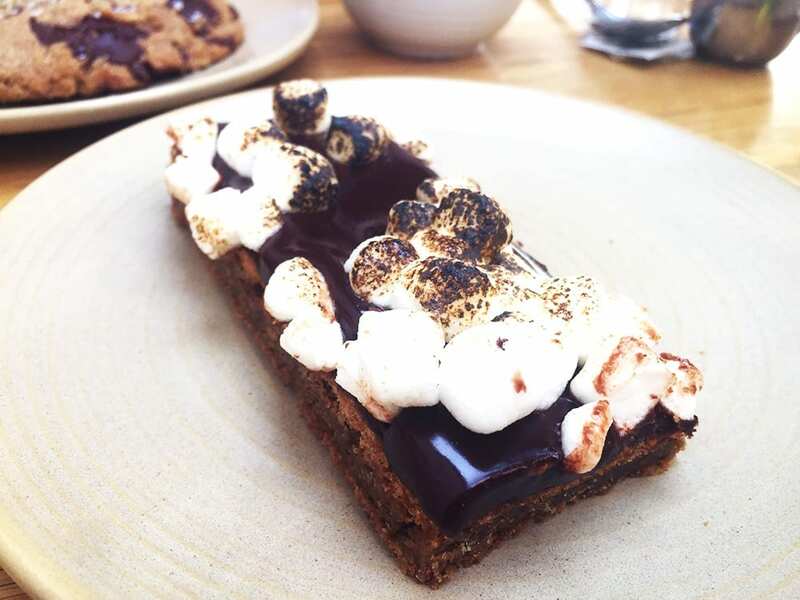 It’s a compact brownie so thick in flavor it’s like eating several brownies in one all covered with a thick gooey layer of chocolate and topped with yummy S’Mores. 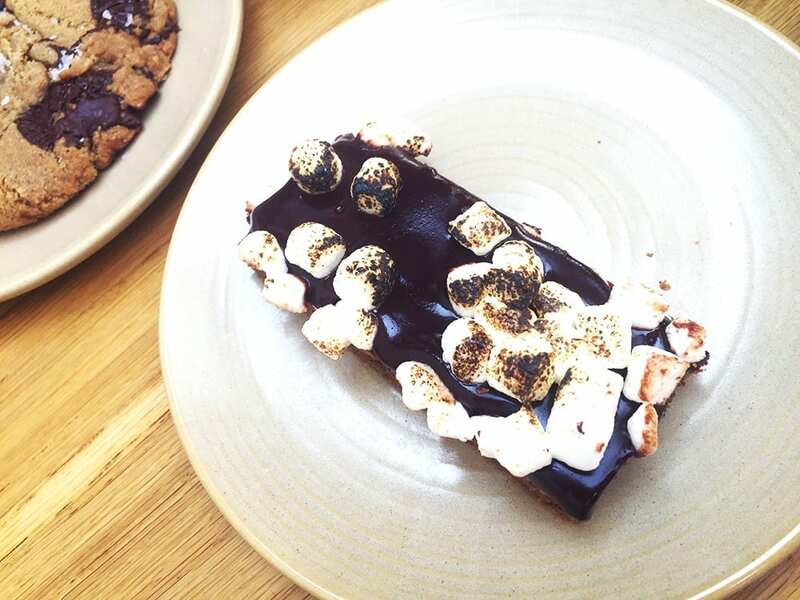 Every bite is like pure heaven, it may look small, but its a dessert with a flavor far larger than its size. Cheap nom too for just $4 you get far more flavor than your mouth can handle! 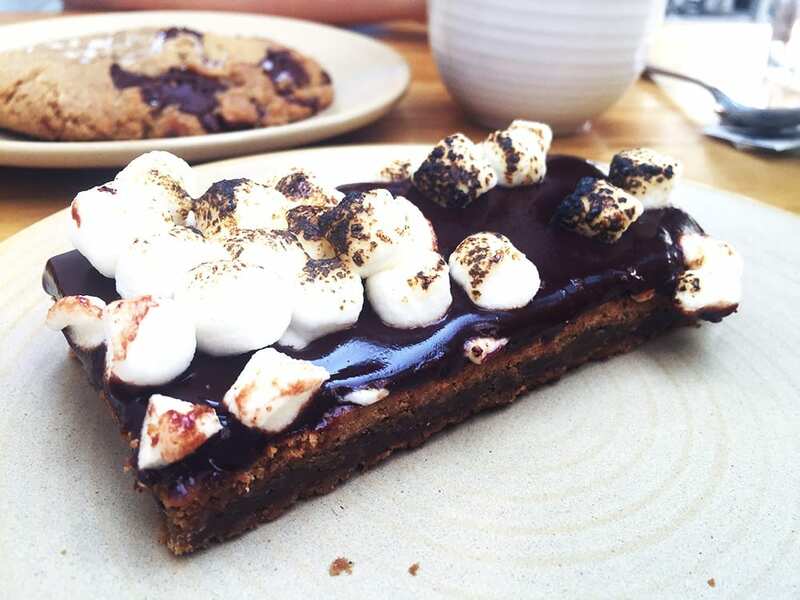 Such a flavorsome dessert, it would make it an ideal way to end your Summer House Santa Monica nom nom adventure.